Six years ago TaylorMade Golf created a new category of golf clubs by introducing the Rescue Mid, a club designed to take the place of longer irons in the bag. 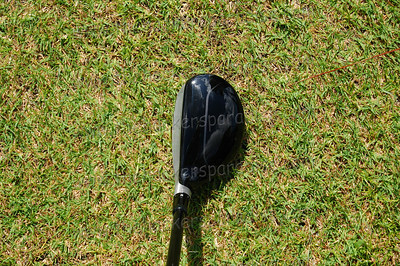 Whereas the typical long iron is hard to hit, it was easier to lauch the Rescue Mid, thanks to its low center of gravity. Yet not only did casual players take to the Rescue Mid, touring professionals took notice and it created a new category in club manufacturing. With its compact head, the Rescue Mid truly was a hybrid â€“ a cross between an iron and a fairway wood. It was easy to hit straight, easy to hit out of the rough, and even great to chip with from certain greenside lies. Since that time just about every company has come out with what are now for the most part called hybrids. Few companies have been as full of innovation for 2009 like Taylormade. With the release of the R9 Driver earlier this year they introduced the world to something they like to call “FCT”. (more on that later) However when this hybrid first arrived we immediately thought “blast from the past”. It seems as though the club head has been on a diet of sorts and that made us extremely happy. Right away you notice that the new Rescue TP hybrid’s clubhead is much more compact. This was made to make it easier to use in trouble spots such as deep rough. We will find that out when the testing starts but our first impressions are quite good. The last two versions of the Rescue have been a major disappointment to this reviewer because I felt as though they were more like fairway woods and less like hybrids. Sure it made them more forgiving, but really gave our testers fits in trouble spots like the rough or fairway bunkers. Taylormade Golf released two versions of their hybrid Rescues this year. The Standard and the TP. The key difference being that the Rescue TP hybrid features the same TaylorMade Flight Control Technology (FCT) that’s in the R9 driver and fairway woods. FCT gives the player the ability to change the face angle, loft and lie angle, which has never before been possible on a hybrid after fitting. Armed with the 3 hybrid we set out to the range for some demo time with myself and 2 others and each took turns hitting the club in each FCT position. 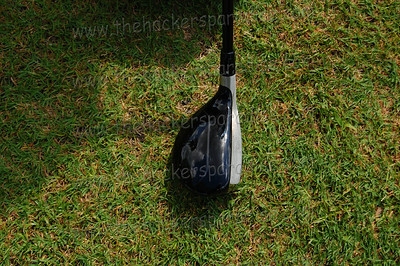 Just like the R9 driver and fairway wood we reviewed, using the FCT is a piece of cake. Simply unscrew the head from the shaft, line it up the way you would like it setup, and re-tighten the screw until it “pops”. With four settings available (L, R, N, NU) there really is a setup for just about any players out there. What we found even more intriguing was that how noticeable the different settings were for every shot we hit. If nothing else, that was a lot of fun to see. With the ball flight being obviously higher with this hybrid than with the R9 driver or 3 wood, we could REALLY see the FCT in action. Even the high handicapper that was with us saw noticeable differences in each of the 4 settings. Something that really shows how crucial fittings are to the game of golf today. Enjoying the club so much on the range, I decided to put it in my bag for a few weeks for my regular rounds and replace my normal 3 hybrid. I was able to get 8 full rounds in with it and came away fairly impressed. Distance wise it was not any different than what I was used to, but the overall feel of the club was just short of astonishing. It brought me back to the days of first trying out the Rescue-Mid and being sold on “hybrids” at that point. 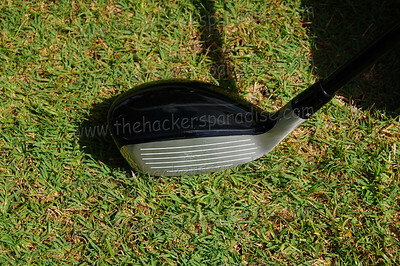 I am not sure I have ever hit a more versatile hybrid than this one and part of that is because of the FCT technology. It is hard to say if the club made my scores lower for the rounds I played, but regardless of that, something was higher each time I picked it up, and that was my confidence. A couple of things I want to touch on before we go any further. First thing is a small complaint. Not about the club, but about the headcover. 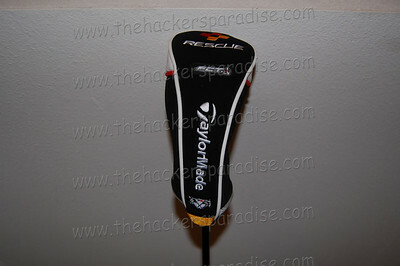 I am begging with Taylormade Golf to release some nicer headcovers for their drivers and hybrids. For a company so ahead of the curve in equipment, they seem so far behind the curve in headcover style. The second thing I want to touch base on is the shaft. 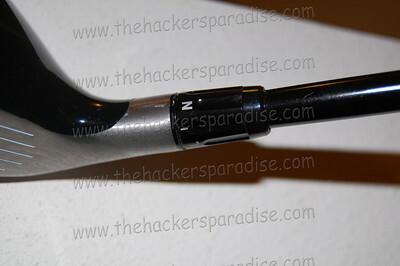 It is equipped with an Aldila Voodoo VS8 graphite shaft that is a perfect marriage to the Rescue TP club head. Few hybrids that we have hit this year felt as though the head and shafts were made for each other more than these two were. Overall we have continued to be impressed with the 2009 lineup that Taylormade is coming out with. Nobody was more critical of some of their releases last year than I was, but so far the 2009 lineup is about as good as anything we have come across. 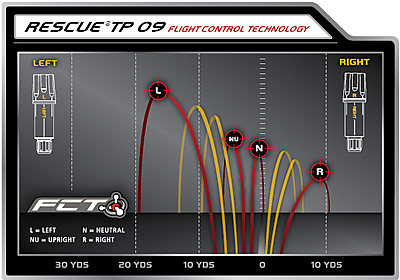 The Rescue 2009 TP hybrid continues that trend of stellar products that are made to help just about any golfer’s game. The Rescue TP hybrid is offered RH or LH in 2, 3, or 4 hybrid lofts, with the MSRP of $249. We found this price a little high, but when looking at stores the street price seems to be around $200 and that is right in line with what we expect to pay for a top notch hybrid. The Rescue TP Hybrid went on sale May 1st at retailers everywhere. If you are in the market for a new hybrid to take your game to the next level, make sure this one is on your short list of clubs to try. For more information on any of the equipment from Taylormade Golf check out their new website at www.taylormadegolf.com. Very interesting review. Most pro line clubs are not made for amateurs, but with the ability to move this around, it can work for anybody. Good read. I purchased one of these the day they came out and I must say I agree with the reviewer 100%. It is so cool to move the face around and see exactly how it performs. It took the place of my Adams pro gold rather quickly. I have always liked TaylorMade clubs but I need to stop reading your reviews because I am set and all I want to do is keep trying clubs out! I won’t stop, but I should! Sounds like a great club. This is a good looking club, that’s for sure! Seeing how each time you used it you gained more and more confidence I’m positive that it would eventually lead to lower scores. Great review, thanks! Great review. I really want one of these. Nice review, it makes me want to go out and pick up a new #3 right now. I might have to do that. I’m gaming two old, first-generation rescue mids, but it’s nice to hear the newest version is playing so well. Great review. Very good review. I am on the fence between this and the Nickent 5DX. Planning on going to hit each of them this week and make a decision. Great review JB these are next on my list to try out. FCT seems very interesting. I just got the 3 hybrid and have used it during 3 rounds of golf. The best shots of the day were with this club.. Set in on one click open and neutral and I am able to avoid the lefts that plague me with other hybrids. Long and forgiving. Easily the best hybrid I have ever used. I may be looking for the 2 hybrid soon. I found the TM Rescue 09 to be more forgiving. Probably the lighter shaft and higher ball flight. I hope they bring the FCT to the more forgiving head. I bought a 19 degree Rescue this year. 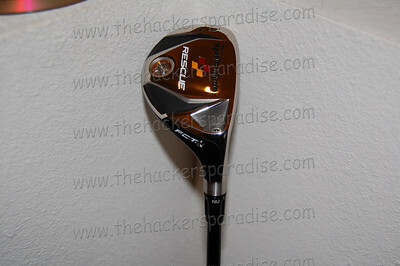 The shaft is athe Taylormade standard that comes on my R-9 Driver and Three wood. What is the difference from the Hybrids you are discusing? The TP Shaft is a different shaft Dennis. There are actually eight settings. Four are marked and there are settings in between each mark.